Hello. Let me start by formally introducing myself. My name is Mary Princess but you can call me Mary or Cess. I’m cool with both. I graduated in 2008 and got my first job a month after graduation, surprisingly in one of the biggest BPO’s in the Philippines. I was scared at first as it was a graveyard shift, starting at 8pm (earliest shift) and ending at 1pm. I wasn’t even sure if I would pass the training. In truth, I wasn’t that confident at all when I started but I took a chance and gave it a go. I made friends, discovered helpful mentors and of course my self-confidence grew. I passed the training and even became one of the top agents at that time. I felt so proud and believed that I had found the place where I truly belonged. Everything was perfect. Then one day, my boyfriend of 5 years decided to work in Singapore. I was suddenly presented with two life changing choices: I either stay put and be promoted at my current employment, or I follow him to Singapore and give up everything…. It was one of the biggest decision I’d had to make so far in my life. If I left I would be way out of my comfort zone. I’d never been away from my family – even once! Even when I was a student, my travel time was only around 45 minutes to an hour as my parents wouldn’t allow me to rent a place near my school. I gave up everything in the Philippines and followed him to Singapore. I started over and got a new job. This time it was different to an office setup – which was, by the way, my preferred working environment. I worked in a travel company where I dealt with customers face-to-face. My role involved explaining the tour packages and the benefits of what we were selling. Unlike the BPO where you chat over the phone, this ‘face-to-face’ set up was a little challenging as it was totally different from my previous experience. In person you need to be on your toes with how you physicall present yourself – particularly with regards to your emotional frame. If you’re having a bad day, you need to hide it or the clients will notice. At times I missed my BPO days back in the Philippines. But I stuck this job out and worked there from 2010 to 2013. Along the way, I gained other experiences, friends and family. Within the 4 years of working there, I traveled to different countries and learned their culture. The investment of life and stepping outside of my comfort zone gave me these things that I will forever treasure. My partner needed to go back to Philippines as he lost his job in Singapore. So again, I was faced with a very difficult decision. There were so many pros for staying: I was earning almost 5 times that of my salary in the Philippines, I had built my career, gained friends at work, experienced some amazing times, and already made future plans. For the very first time, I made my own decision and stayed while he went home. We then broke up several months later. I felt that I had made the right decision… but another part of me felt empty and incomplete. I didn’t have anyone apart from my ‘work family’. In the end I decided to return home to Philippines and be with my family. It wasn’t that I wasn’t independent – indeed, the entire experience made me realise that I can stand on my own and be independent – I did it for almost 4 years. But it was time for me to be with my family again. So I went home in 2013. I traveled around the Philippines since I had a fair bit of savings put away – and do love travelling! I journeyed alone and discovered how truly beautiful my country is. Then 2 months after being a ‘bum’, a friend offered me a job. 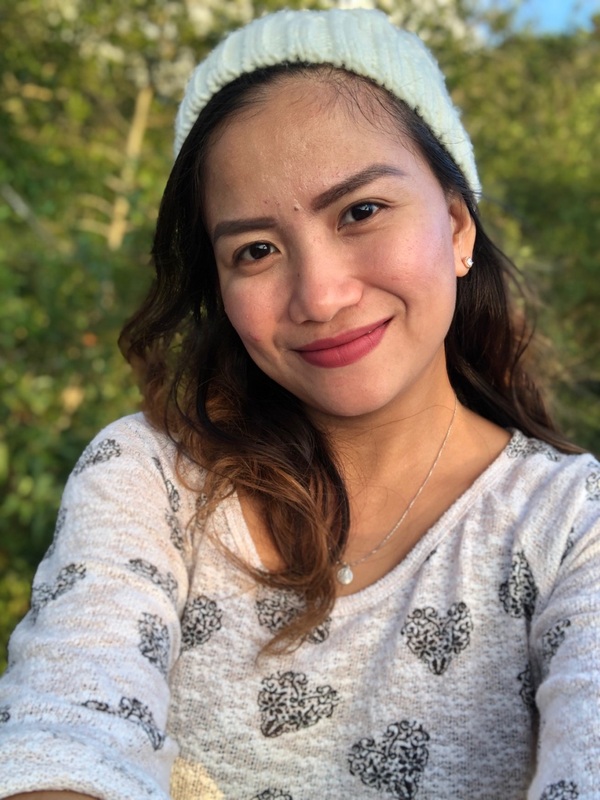 I was hesitant at first because it was BPO again, and I had told myself that I wouldn’t go back to BPO as I wanted to pursue my dreams of working in a bank as a teller or something that involved office work. But my friend was persistent! And what hooked me was when she said it was dayshift and an Australian Telco account. This piqued my interest because my first BPO experience was also a Telco company (but in the US) so I felt like I could draw on my previous experience. Long story cut short: I attended the interview and passed the exams. My next career journey started in 2013. I began as an agent, taking inbound calls for about 8 months and was then promoted. I became one of the support team and then a Team Leader. Of course, there were challenges along the way – building a career isn’t always a walk in the park (as many people mistakenly believe). I experienced discrimination and my patience was tested to the max. I worked as an Interim Team Leader for almost 8 months. Even being a Team Leader has its challenges. You start to question yourself and your ability… I don’t know how to start my day, I don’t know if my team will follow me, will they even like me as a leader? With these swirling thoughts I got to work. I listened to feedback, sought assistance from those tenured team leaders, and developed a mindset of never ending learning from everyone else. I always make it so my team comes to work every day because they are excited. Not just because of money, but because I always give them something to look forward for every day. This is why my team doesn’t have any attendance issues. And I’m proud to say that I still have agents who stayed with me instead of moving up, as they are happy being part of my team. Don’t get me wrong – I push people hard too. I always motivate them to move up, just like me. And again I’m proud to say that I have team members that are now team leaders, sales coaches and floor support. Another strength I have is that I don’t hop from one job to another. I prefer to stay longer and give my commitment to the company who allows me to contribute and build my career. I’m still with the same company I started working with in 2013. I’m happy working dayshift as it allows me to spend quality time with my family. I get to go home and have dinner with them and celebrate special occasions together. My story is a never ending journey, so there’s more to come and I’m ready for it! Bring it on! And Welcome 2019. For a copy of Mary’s resume please click here.